The letter of credit is one of the negotiable instrument. It is given by the bank, that guarantee’s buyer’s payment to the seller shall be received on time along with the proposed amount to be paid. In this instinct, if the buyer is unable to make the agreed payment to the seller, then the bank will cover the full or remaining amount of purchase. In case of international dealings, many factors such as distance, duration, various law enforcing agencies and complexities in knowing the trading party in person and therefore, In international dealings letter of credit would be of great importance and key player in assurance to the beneficiary. The sales contract shall be negotiated between the trading parties and letter of credit would be agreed as a method of payment to the beneficiary (the one who is paid by the nominated bank). Once the contract is finalised, the applicant will ask the bank for a letter of credit to be issued to the beneficiary for the payment of agreed amount on trade. As the beneficiary receives the “LOC” he checks the actual terms of the contract made with the trader on shipment of goods and shipment is made to the applicant. After the shipment of goods, the beneficiary will be presenting the requested documents to the nominated bank for payment. The bank checks for the authenticity as per the contract and shall cancel the “LOC” or can be considered as discrepant if found contradictory with the terms and will ask the beneficiary to submit the corrected documents within the time specified in credit for the payment. Import/export letter of credit- In this the importer will be a buyer and exporter would be a beneficiary. 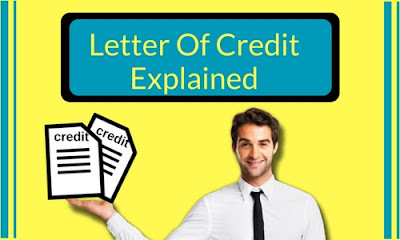 Revocable letter of credit -It can be changed anytime by buyer or issuing bank without any prior notification to the beneficiary. Irrevocable letter of credit-Here the change can be done only by the issuing bank after approval given by the beneficiary alone. Transferable letter of credit- It is used when beneficiary involved are one or more suppliers in which beneficiary will be presenting the documents for part of his payment. Non-Transferable letter of credit- It is non-transferrable to the third parties/others who are not part of the payments. High level of regulatory risk because of various government agencies involved in the transaction. Failure of issuing or collecting banks. Beneficiary risks like delayed payments from the nominated or issuing banks.